“Our data shows that people will happily transition to foods, snacks and beverages that are better and healthier for them if given the opportunity to do so,” said Michael Heinrich, Oh My Green Founder and CEO. Oh My Green, a concierge-style provider of healthy food and wellness services for corporations of all sizes, today announced the completion of a 23-month data analysis validating that healthy eating is taking off in the workplace. The data analysis, completed at the end of 2018, shows that the overwhelming majority – 93 percent, in fact – of the food purchased by their corporate clients was healthier than snacks typically consumed in office environments. The data also demonstrated that healthy food consumption increases over time. The more that healthy options were offered, the more likely people were to choose to eat healthy, even when a variety of options were available. 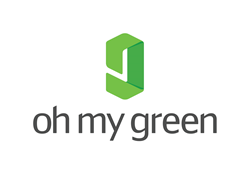 Oh My Green selects healthier foods and beverages for its clients by adhering to the USDA dietary guidelines. The company also goes beyond those guidelines and applies its own criteria, which was created by Dr. Pam Peeke, an advisor to Oh My Green and nationally renowned physician, scientist, expert and thought leader in the fields of integrative and preventive medicine. In particular, Oh My Green looks for items that are: non-GMO; certified organic; or minimally-processed without ingredients such as high-fructose corn syrup, hydrogenated oils, artificial sweeteners, fillers, preservatives, as well as additives that can be potentially harmful or that add little nutritional value. To cater to employees who follow various nutrition regimens, products are also chosen with an eye towards specific dietary accommodations (vegan, keto, allergen free, etc.) and a balanced nutrient profile, especially when it comes to sugar, fat, and sodium content. Unhealthy snacking trends downward over time – Over the 23 months that Oh My Green tracked snack purchasing data, there was a 21 percent drop in unhealthy purchases between January 2017 and November 2018. This shows that a “nudge, don’t push” approach works -- when people are exposed to healthier choices, they increasingly choose healthy over unhealthy. 80 percent of companies kept unhealthy snacking in the less than 5 percent range. For 38 percent of companies, less than 2.5 percent of their purchases were unhealthy. Fruit is the #1 choice for healthy snacking. Fresh fruit leads the list of the 10 most popular snacks purchased by Oh My Green clients. Bulk products like nuts and seeds came in at #6 on the list (based on serving size analysis).